I’m happy to present… A Holiday Giveaway! I’m giving away a Lantern Tree. 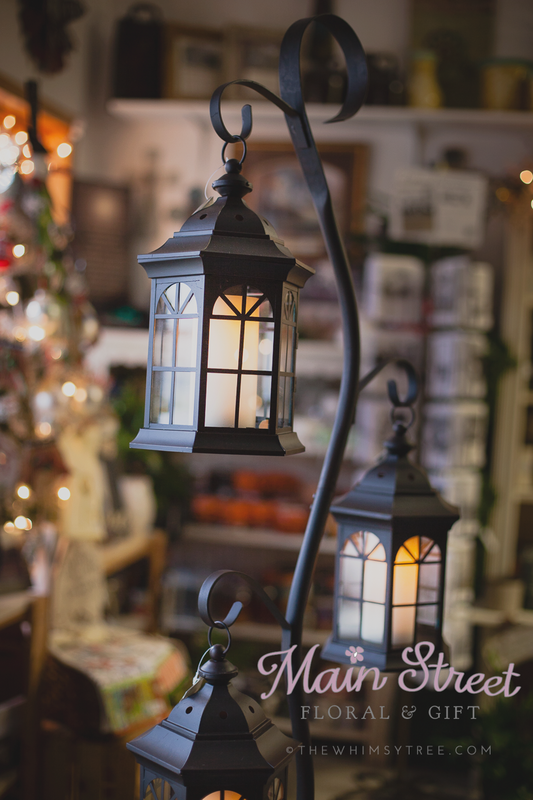 The wrought iron lantern tree is 6ft tall and comes with 3 lanterns that have battery operated candles which are on a 5 hour timer. It’s the perfect decor next to your fireplace, or even outside your door… so many places to use it! To enter the giveaway, you just need to ‘Like’ us on Facebook, and ‘Like’ and ‘Share’ any images we post of the Lantern Tree. Please do not share each image more than once. We will be posting more image as we approach the giveaway day on December 12th! Not on Facebook? No worries! Stop in at the shop for our Open House and enter on Small Business Saturday, November 29, 2014 (open 9am-3pm CST). We’re at 119 Main Street in downtown North Judson. Details: On December 12, the day of the giveaway we will select one winner from all the names collected from the shop, and likes and shares on our facebook business page. The winner has until Monday, December 15th to pick up the Lantern Tree from the shop.